Ricky is my Shitsu. He’s almost seven years old and a terror. We got him to keep Luci company but Luci totally ignored him for almost 18 months, and avoided him for another year after that. We thought we had made a big mistake but after many years, the two dogs are getting close and you can definitely see that they miss each other when they’re separated. Luci is about 14 years old now and definitely the princess around this house. She is the Alpha dog and although Ricky looks dangerous, Luci can put him in his place. 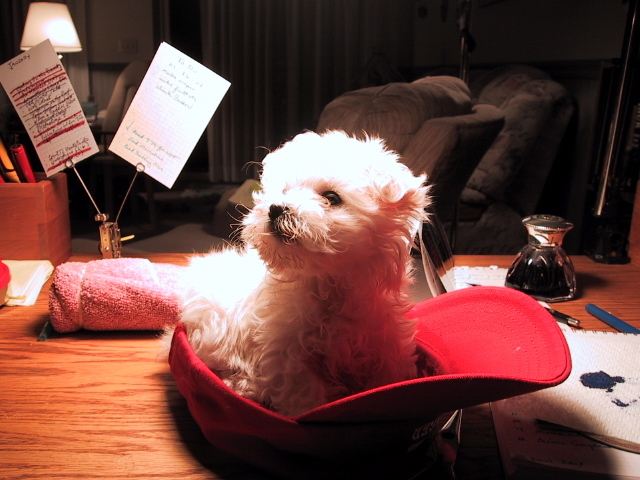 When I brought Luci home she fit inside my baseball cap and would sleep on my desk while I read or did work. I got Luci when I had my stroke. She was well-trained and became my care-dog. Her years of following me when I required a walker, and even today with a cane, have taught her to always lag behind and to never get under my feet. Unfortunately, this has never been true of Ricky. 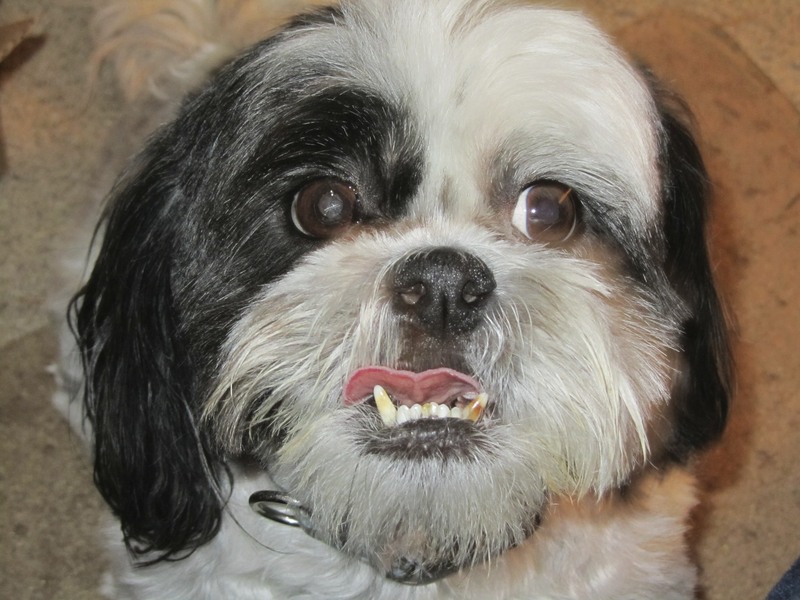 Ricky was actually my wife’s dog and when she died, Ricky would go into the closet where he could still find her smell. Now he is a big lovable squeeze-dog and if you let him, he will lick the skin right off your body.